This past weekend was all about building mojo for me as the Cream Puff is now less than two weeks away. Last year I went to Oregon with decent fitness but no singletrack mojo whatsoever and I got spanked by the 6" wide fern-lined trails that Oregon is famous for. Sunday's ride on Snow King's finest singletrack was an excellent mojo building exercise. I was able to chase a group of fast riders around their home trails for aobut 4 1/2 hours and work on my skillz as well as my fitness. I really need to ride over there more as the Snow King trails have a little bit of everything to offer. Our group, which fluctuated in size as the ride wore on, consisted of Leadville vets, Cream Puff-ers, a Breck Epic entrant, and a Breck 100 entrant. In other mojo building news, The Love Shack is in the home stretch and the race for 2nd Place in the Tour Divide looks like it will come down to the wire. I spoke to JayP yesterday and he sounded good and is looking forward to knocking this thing out. Go Go Go! Progress is good...even if it occurs in small increments. Last night's annual Cache to Game xc race in Jackson was an indicator that things are heading in the right direction. The cool thing is that the course is exactly the same each year so you can truly compare your times. This year I finished in 47:15 and squeaked into the top 20 overall in a field of about 70 racers. My previous best was 50:45. Congrats to Amanda Carey for setting a new women's course record - 44:34! Just seconds before the start Amanda rolls over to me and says, "Ok Byers, pin it until you blow up...and then keep going...it'll be over before you know it!" Greatness. Success! Mike Piker and I launched a last-minute assault to intercept JayP and T-Race as they blitzed through Idaho midday on Friday. They had already been riding 7.5 hours, and were on day seven...and they looked great! And fast. When they point that thing downhill you better get out of the way. After intercepting them, we spun it around and headed back to the campground where they refilled water. There was no wasted time off the bike for these two. I am glad I am not racing these two...it was not easy to keep up and we were on cross bikes! A classic pose next to the "Love Shack"
I am so proud of the Dynamic Duo. They are are the pointy end of the Tour Divide despite very limited time on the tandem pre-race and a few mechanical issues during the race. Back in Lincoln, MT, they lost their original Spot device that was loaned to them for the race. When they got to Helena, the procured a new Spot at a store there but needed some help to activate it via computer (you can't just turn those suckers on and go) so I checked with Tour Divide officials and it was deamed legal for me to help them activate their new Spot from my computer. Well, the new Spot doesn't seem to like "Tracking" mode. I have received several "Ok" messages but very few "Tracking" messages with the exception of last night between 10:30 PM and 1:00 AM. So, if I hear from the Tandem-maniacs, all I can do is let them know what the most recent Spot messages received were. Let's just say that I am not impressed with the usability of the Spot at this point. It was very evident early on that most folks in my category, 40+ Experts, have already been racing for a while this season. Tight, twisty singletrack has never been my strength but today the disparity in my skillz compared to my fellow racers seemed to be magnified. By the third of three laps I was riding the switchbacks better and carrying more speed but by then it was too late. Random thought bubble #1: Do most successful cross country racers pay attention to pacing or do they simply "pin it" at all costs? My goals for this race were to get some "race pace" riding on singletrack, work on the bike handling, and pin it 'til my eyes went crosseyed. Check. Check. Check. For a two hour race, that hurt. Park City is getting lots moisture like much of the Mountain West but the trails here are simply amazing. There was some mud, and a few corners were greasy, but for the most part the conditions were amazing. After the first lap I settled into a mid-pack no-man's land and just focused on the trail and my downhill cornering technique...which still needs lots of work. I haven't seen the results but I am pretty sure I was out of the top ten but rode steady and the whole time and managed to pick off a couple on the last lap. Overall, I was expecting to produce a better performance but this might have been the wake-up call I needed to make a few changes. Random thought bubble #2: I am seriously questioning where I live due to the shortness of the dirt riding season and the lack of quality non-motorized trails. There, I said it. 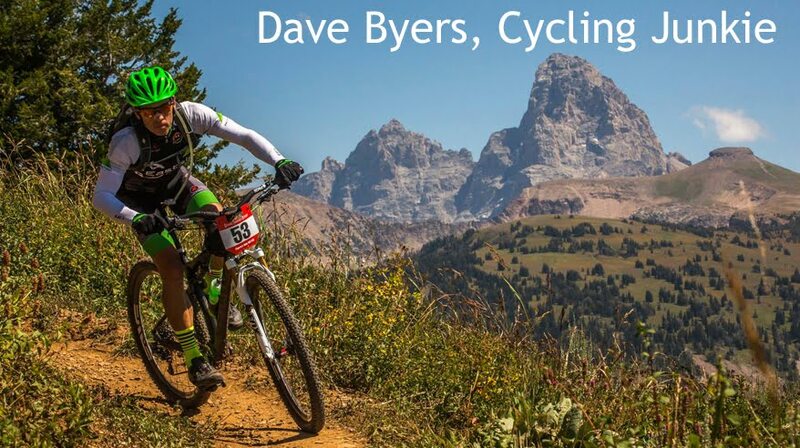 The Intermountain Cup organizers put on a great race and the turnout seemed great to me even though it was my first Intermountain Cup race and I have nothing to compare it to. Visiting with some friends I only see a couple of times per summer was an added bonus. Adam had a solid race and we enjoyed a post-race spin on Solomere (sp?) before he headed home. More singletrack tomorrow before driving home and back to June-uary. I love Big Ride Sundays! Mother Nature tried her best to be the "Fun Police" today but extra layers compensated for her wrath and Big Ride Sunday happened as planned. You can't stop Big Ride Sunday, you can only hope to contain it. For 2009, the general theme in 29er FS bikes was "more travel". Squeaking out another 1/2" to 1" of travel seemed to be the goal and many nice trail bikes were created as a result. Selfishly, I wanted to see a couple of companies go in the opposite direction but nothing hit the mark. For 2010, at least one company is offering a 29er FS bike aimed squarely at the racing crowd and I am excited about it. Velonews reported on the Gary Fisher 29er a few days ago and Twenty Nine Inches did a follow up post. G-Ted reports that Fisher predicts a frame + shock weight of 2100g...that is 4.63 lbs for the metric-ly challenged. Holy crap! Who else might surprise us with a lightweight 29er FS rig? Specialized had an Epic 29er at Sea Otter but nothing else has leaked yet. Turner, if you are listening, please build a 29er version of the Nitrous. The Lenz 3.0 has been all alone in the sub 6lb 29er FS frame category for a long time and at 5.4 lbs for a large frame + shock it is almost a pound lighter than anything else out there. Niner tried to compete with its Jet9 but I think that the frame spent too much time in the all-you-can-eat line. A medium Jet9 is 6.2 lbs. My 2008 Sultan, billed as a trail bike, is even more portly at 6.5 lbs for the large frame + RP23. In my opinion, a 4" travel 29er FS bike built up to 24.5 to 25 lbs would be an ideal everyday race bike. ...I should have stayed home and ridden the trainer. But the Tues Night Worlds draws me like a moth to the flame regardless of weather. To know whether I have truly solved my Hot Foot issue I need to do a 6 hour ride in 80F+ temps (no 80s in the forecast for a while) but so far the results are promising. 2) Trying a pair of Lake MX170 MTB Shoes in a size 45 WIDE. 2) When a company makes a standard width shoe AND a wide width shoe, the EXACT same sole is used on both. WTF? This was confirmed by Sidi and Lake. Wouldn't you think a wide foot would require a wider platform? 3) The Lake MX170 shoe allows for a more rearward cleat position. My cleat is 1.5cm rear of the ball of my foot and I could go another 1cm rearward whereas the Sidis are maxed out. In order to slide your Speedplay road pedals rearward, you will need their adapter plate whereas Time & Look road pedals have more rearward adjustment built-in. What an excellent weekend! I was able to get two great rides in and knock out a few bike projects in the garage as well. The weekend's highlight was Sunday's 89-mile road ride with Mike Piker who is making a comeback from late-winter knee surgery following a skiing accident. It was awesome to see him riding so strong already condsidering the severity of his injury. We rode from Moose, WY to Yellowstone's south entrance and back and joked the whole time about trying to pick a more scenic ride next time. Ha! One of my garage projects was to replace the bottom brackets on my two mtn bikes. I seem to go through Shimano or Race Face outboard bottom brackets in six months to one year. Even replacing the stock bearings with Enduro Bearings only delays their inevitable death. We have a lot of deep creek crossings here. Chris King released their BB last year and I can finally service my own BBs and should be able to get a lot more life out of them. In addition to being able to fully disassemble the King BB, clean it out, relube, and reassemble it, you can aslo squirt new grease into it without removing it from the bike. Genius! Prior to my quality time in the garage on Saturday, I got out on the Air9 for some climbin'. Let's just say that I got reaquainted with the Idaho side of Teton Pass as I got my "L4" groove on. I love look on the roadie's faces when I catch them while climbing on the mtn bike.